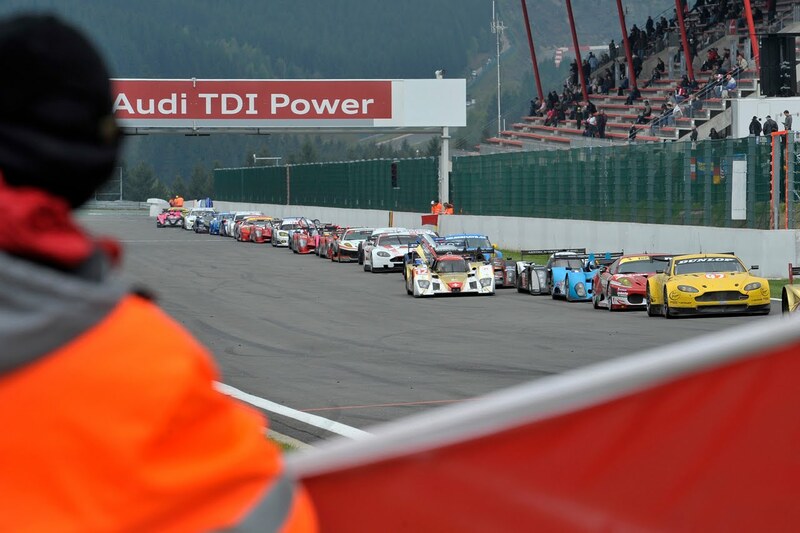 Today's 1000km race at Spa-Francorchamps ended with Audi Sport Team Joest drivers; Tom Kristensen, Dindo Capello and Allan McNish on the podium. 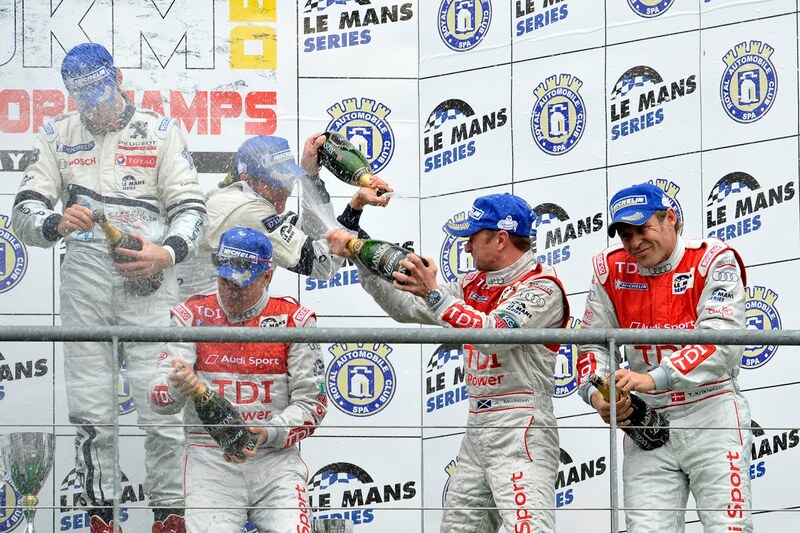 Though partaking in a champagne shower, the drivers of the #7 Audi R15 TDI were standing on the third place step. 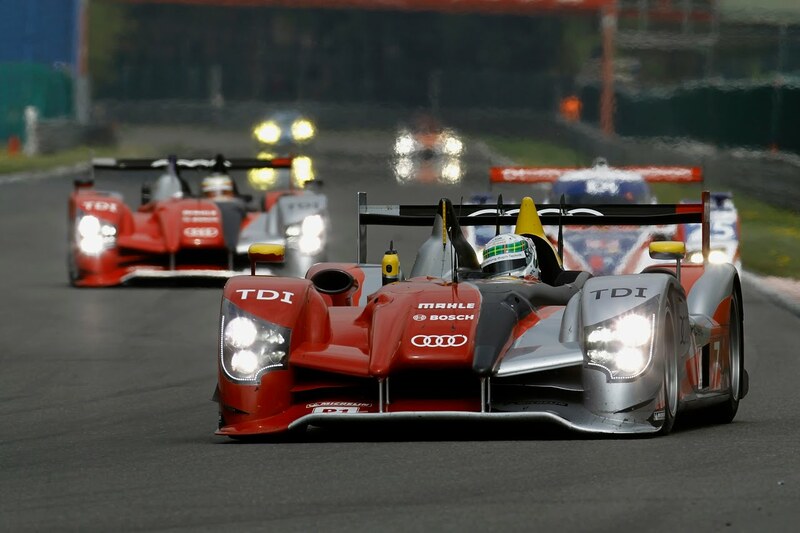 Following a turbulent series of events for Audi, it was the #9 Peugeot 908 piloted by Simon Pagenaud taking the checkered flag, followed by teammate Stephane Sarrazin in second. 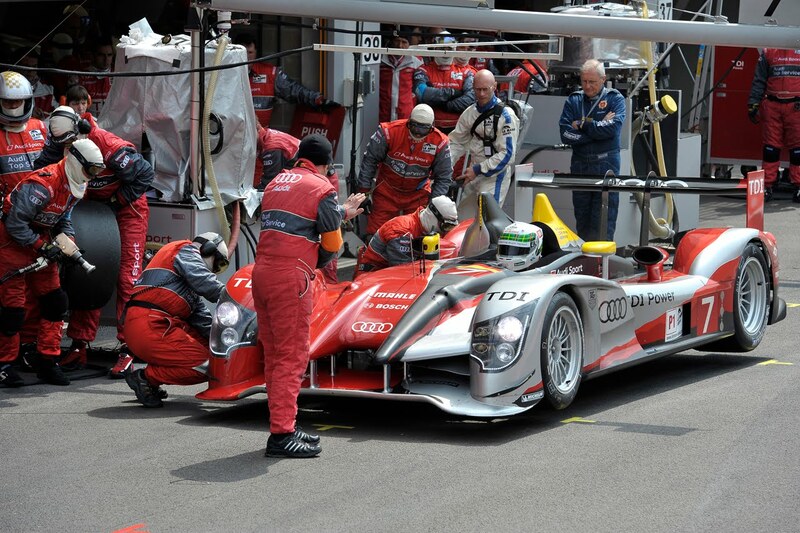 Although no one likes excuses, rain certainly played a part in Audi's shortfalls at Spa. A rain shower during the opening stages of the race brought extremely difficult conditions. 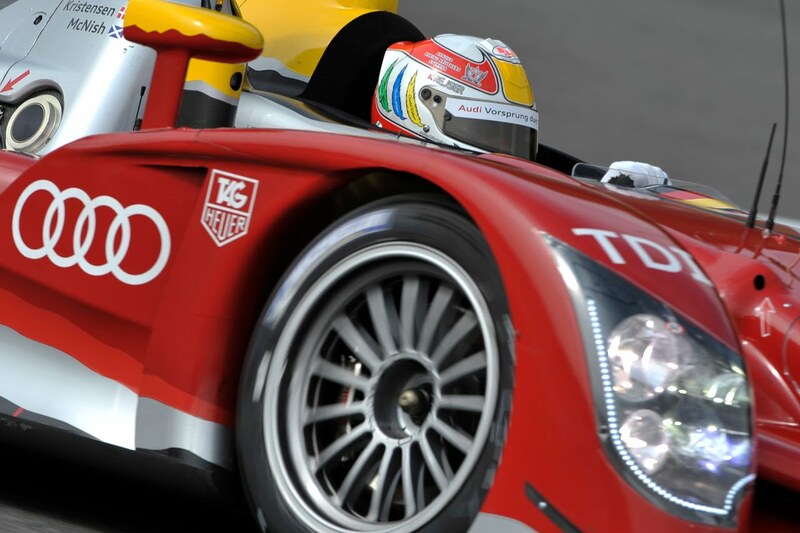 André Lotterer spun off the slippery track during the formation lap leading to necessary repairs of the #8 R15 TDI at the cost of an unrecoverable drop in running order. 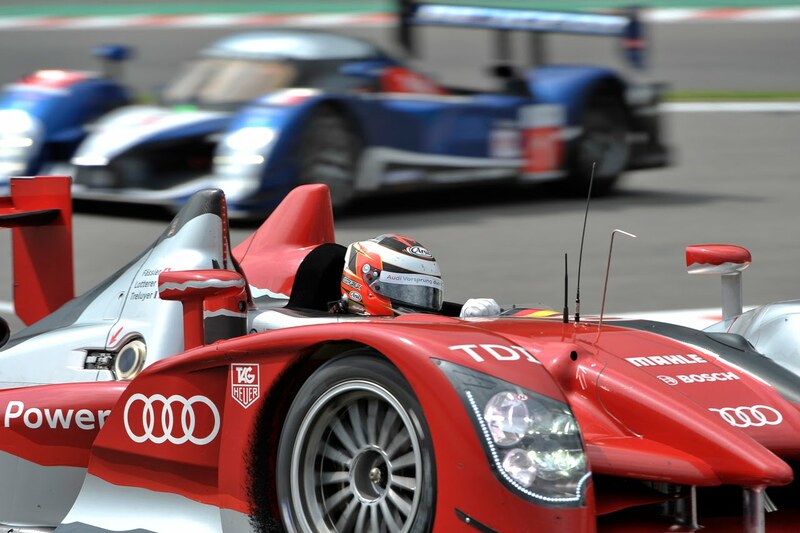 In addition to Lotterer's bad luck, the #9 Audi driven by Timo Bernhard, Romain Dumas and Mike Rockenfeller lost crucial time twice. First by falling behind the safety car followed by a two minute wait at the pit exit after the lights had incorrectly been switched to red for too long. 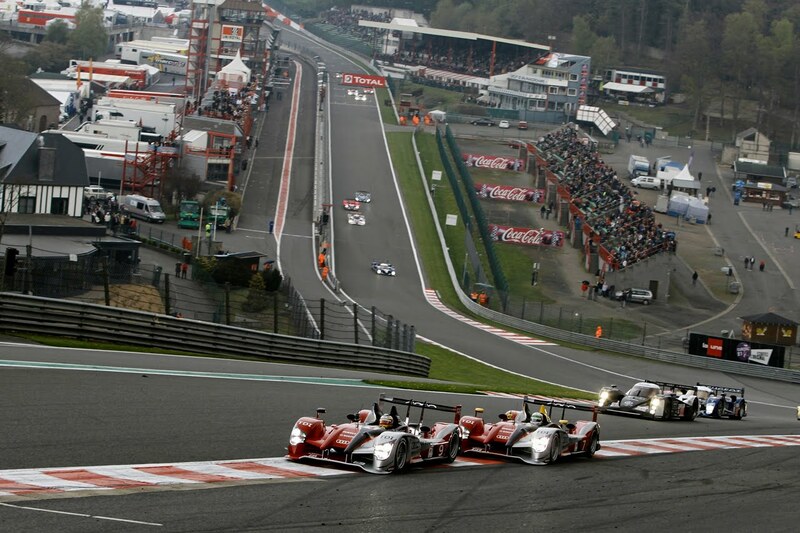 Needless to say, the pressure was on the #7 car of Capello, McNish and Kristensen. 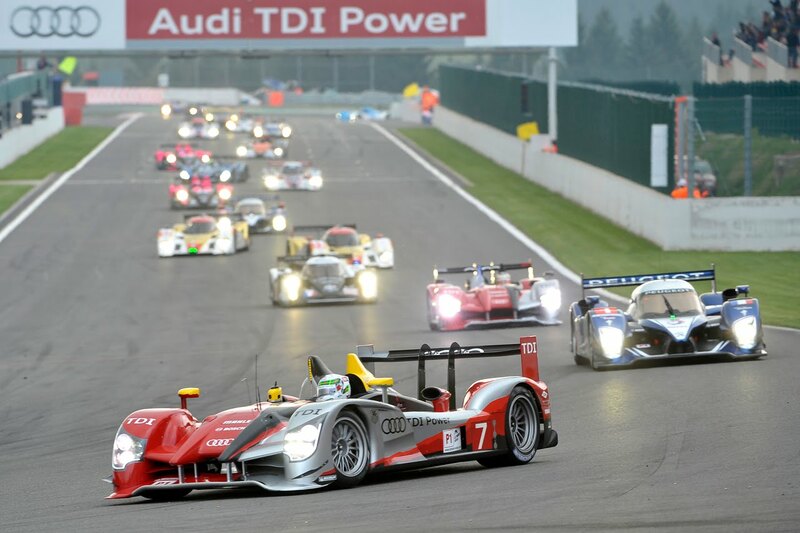 During dry conditions, the #7 car was able to gain much needed ground and even led many laps. 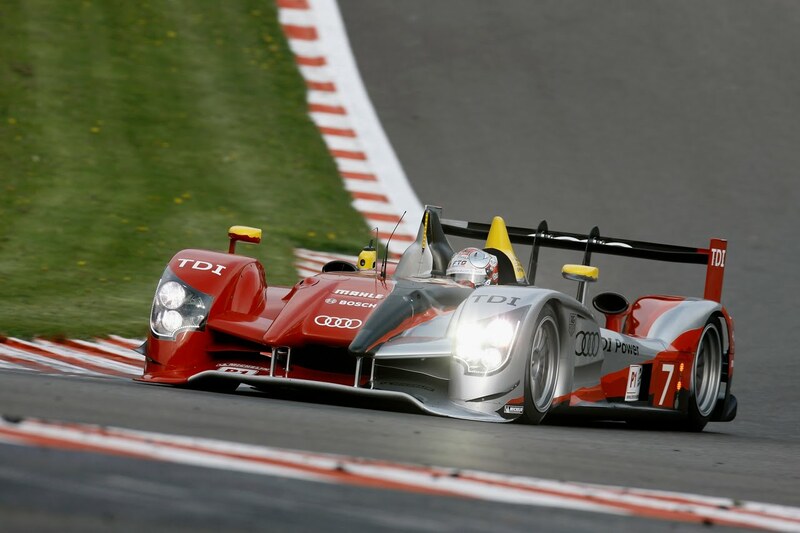 However, Rain would again would play an integral part in Audi's future, ironically though, it would be the lack of rain that would seal the #7's fate. 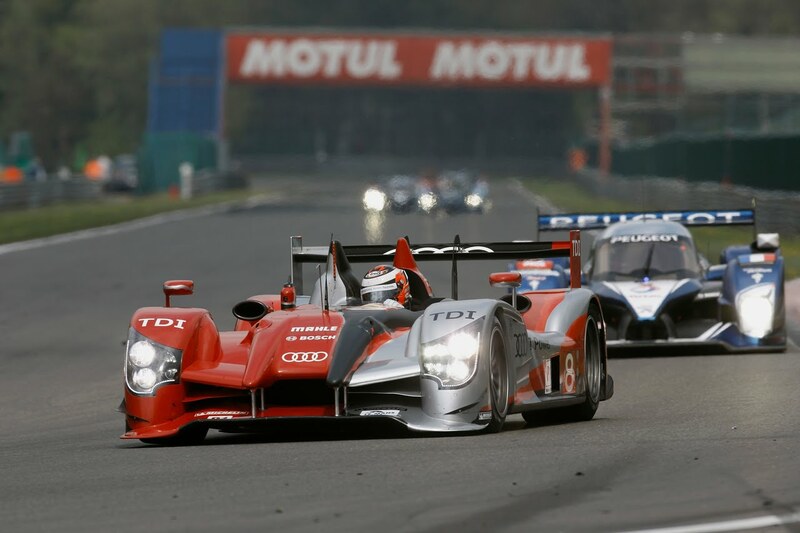 When showers began with just 20 minutes left of the race, Audi's decision to switch to intermediates allowed Kristensen to get within striking distance of the leading Peugeot. 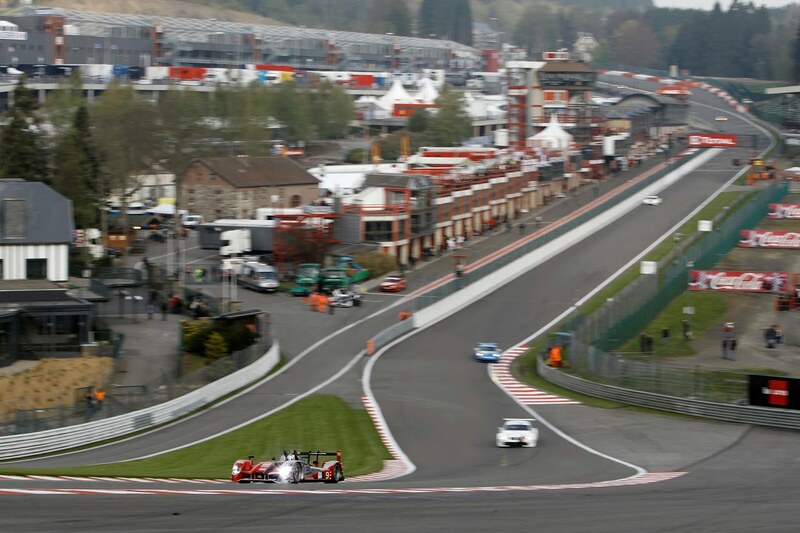 However, as the showers stopped and the track began to dry, Pagenaud (still running slick tires) not only held the lead, but Sarrazin (also running slicks) was able to close the distance and eventually pass Kristensen for a 1-2 Peugeot finish.